Bunet is a Piedmontese dessert, traditionally eaten during the colder months. 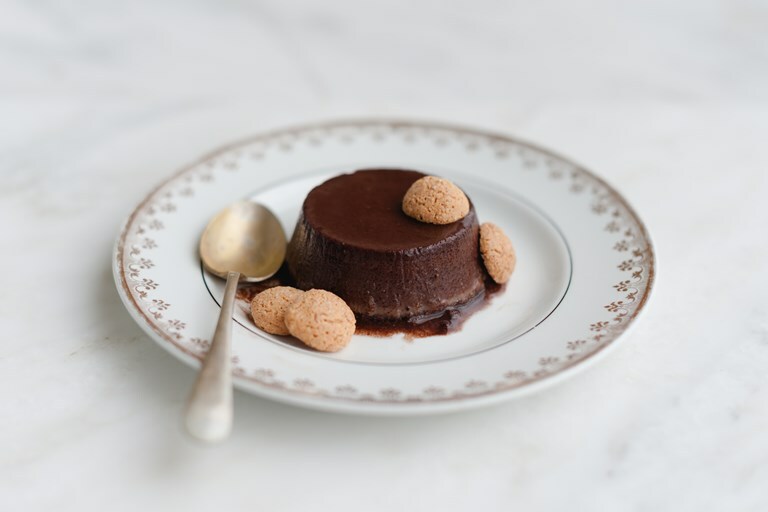 Similar to a crème caramel but with the addition of rum, cocoa and amaretti biscuits, this luxurious Italian dessert is sure to please anyone with a sweet tooth. A quintessential Piedmontese dessert, bunet is a creamy pudding made primarily with cacao, eggs and amaretti, and flavoured with rum. Together with pannacotta and other creamy puddings, it belongs to the category of 'dolci al cucchiaio', or 'desserts that you can eat with a spoon'. Bunet often comes in the shape of a brick and is served in slices. Alternatively, you can use single-serve pudding moulds. I used the latter in this method, so if you’d rather use a larger mould, ensure to adjust the cooking time accordingly.